On a recent episode of The Yarn podcast, Victoria Jamieson (author/illustrator of the middle grade graphic novels Roller Girl and All’s Faire in Middle School) spoke about how hard being that middle school age was for her, and how that informed the way she wrote her books. I hadn’t planned on writing a middle grade book, it’s kind of naturally what the books have fallen into… When I write my books I try to write about some of the hard parts of being that age because as a kid I liked to know that other kids are going through what I go through. Jamieson writes about middle schoolers because that age was so hard. Ten years ago I would’ve picked the same spot for myself. And I did pick it, with all the longer stories I wrote focusing on 11 year old girls. But, that was right at the beginning of my 20s, my actual hardest age, as I was about to discover. I didn’t know who I was, or what I was going to do with myself. I didn’t know what I was supposed to do with myself. This isn’t to say I won’t attempt middle grade stories still (I have one written and waiting for a readthrough and other ideas stewing) but now that I finally feel settled, I keep pulling from a time of frustration and confusion to write. Does your writing center around a hard time in your life? Do you pull your characters from somewhere else? I’ve been reading a bunch of comics and graphic novels lately! Mostly stuff aimed at teenagers and children, because that’s who I am. Let’s take a look! Nimona by Noelle Stevenson. Noelle Stevenson is known for writing Lumberjanes, and apparently for writing on Wander Over Yonder (is this why I like the second season so much?) but before that she wrote a webcomic, Nimona, which last year was collected in a nice hardbound book. Nimona, a girl who can shapeshift into basically anything, decides to become the sidekick for Lord Blackheart, an evil scientist, whether he likes it or not. She helps him fight against the Institution, a group of knights Blackheart once trained to be a part of, including Ambrosius Goldenloin, his ex-best friend (maybe more?) and current arch nemesis. 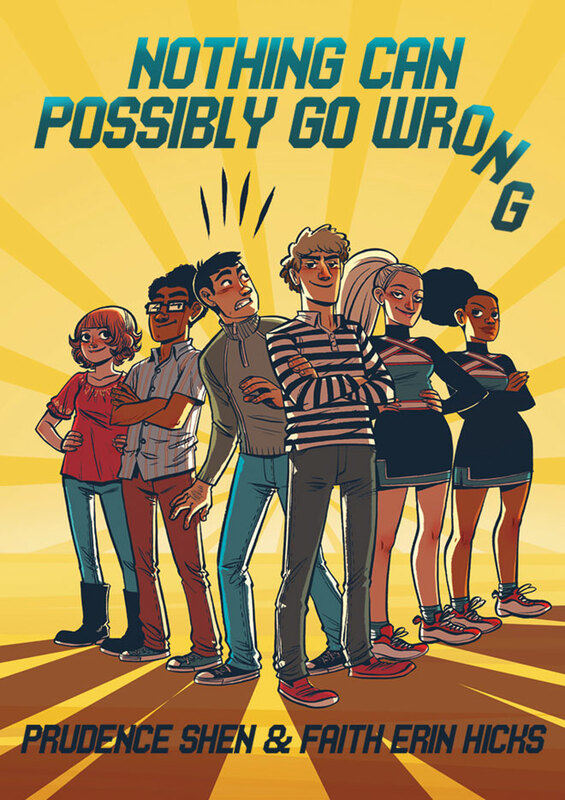 When I finally checked this book out of the library, I figured this would be a fun, light-hearted comic, and it is — at first, at least. Then the story gets kind of dark. The characters turned out much more complicated than I expected from a single-volume webcomic collection, with secret, twisted pasts, complex relationships, and moral codes that aren’t black and white but make total sense. I give it all the stars, and all the recommendations, and will probably buy my own copy. Zodiac Starforce #2 and #3 by Kevin Panetta and Paulina Ganucheau. I still don’t have #1 of this! But oh boy, am I going to find a back issue of it. This story is good. A magical girl story, but, you know, in America. 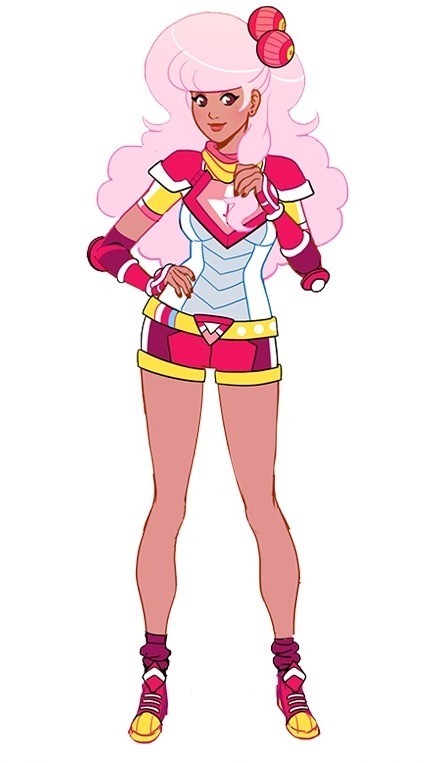 The four members of the Zodiac Starforce have apparently been broken up for a couple of years (that’s what I’m getting at least, I’m sure it’s explained better in the first issue) but are now working to fight off monsters again. 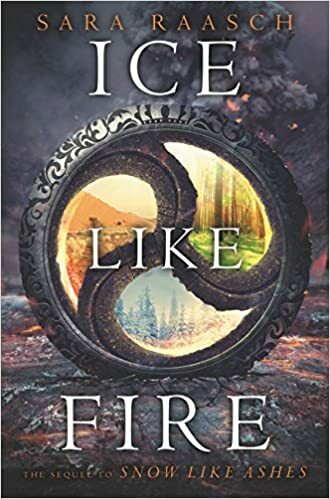 Emma is a little bit too much of a self-sacrificing leader, but then, the leader was never my favorite character in these things, and Panetta and Ganucheau give me sensitive Savanna and hot-headed Molly to love. I’ve only read this little bit of it, but the four main characters are distinct and fun. The colors are soft and bright, definitely leaning towards the pink spectrum, and just adds to an overall gorgeous design. Plus, everyone’s got absolutely bombing hair. Just look at Emma as Gemini! This is the kind of story I would have gobbled up in a quick minute as a kid, but it didn’t exist so I found the manga version of it instead. Now I’ll gobble it up as an adult! Well, now that I’m through that part of my comic stack, I’ve got another pile from the library and bookstore to work through! What comics have you been reading? Anything else I should pick up at the comic store? I think I’ve always been a comic reader. I read Archie comics sporadically, and each Sunday it was of vital importance that I read every single strip in the funny pages — yes, even Doonesbury. I bought Garfield collections and started filling up a shoe box with issues of Sonic the Hedgehog and Knuckles the Echidna. But one thing was obvious, as I started moving into more story-based things: there weren’t a lot of comics, or graphic novels, meant for girls. There were some things, like Betty and Veronica, but nothing that appealed to the other stories I loved, fantasy and adventure, or even stories that just focused so deeply on characters and their problems. No, those were in “boy” stories, in super hero comics that didn’t usually appeal to me. Maybe that’s why I fell so hard into manga. The first volume of manga I ever bought was Cardcaptor Sakura, where a girl gains magical powers and fights monsters in outfits designed by her best friend. On the cover she’s decked out in pink and is surrounded by swirling ribbons. This was a story made for girls, and I was so hooked. Fushigi Yuugi, Mars, Kodocha, Magic Knight Rayearth — manga was an embarrassment of riches when it came to girls comics, even with the limited choice available when I first started reading. And I read plenty of “boy” manga, too, Inu Yasha and Rurouni Kenshin, but even a lot of those stories seemed to have a sense of their large female audience, so saying it was a shonen (“boy”) comic really more of a category than a directive. Flash forward to nowadays. Now there are loads of lady comic artists/writers who were reading funny pages and Archie around the same time as me, and they are making their own comics for girls. There’s Smile and Sisters by Reina Telgemeier, Cece Bell’s El Deafo, Faith Erin Hicks and Friends with Boys, and Lumberjanes, oh my goodness Lumberjanes. A bunch of girls solving ciphers and fighting monster and preventing petulant gods from taking over the world and falling in love! Even some of those super hero comics that had never appealed to me would have been amazing when I was twelve, with Unbeatable Squirrel Girl and the new Ms. Marvel. And of course, there’s more shojo manga around than I would have ever been able to read. I’m jealous of these girls today, finding comics made for them, sitting in easy reach in the front of book stores, waiting to be checked out from their school libraries. There are so many wonderful, special things being down with comics that I didn’t even know I craved when I was a kid. So many different stories for them to devour and grow up with and remember fondly as a part of their childhoods. Readers! Did you read comics as a kid? What did you love and collect? Are you as jealous of kids comics today as I am? I looked at my summer to-be-read list, and saw that I only got to half of those books! Woops! Which is why you’ll see some repeats this go around. But I got through some of the nice big thick ones, and even an extra monster book, Words of Radiance, the second in Brandon Sanderson’s Stormlight Archive series, so I think I did pretty good. Here’s what I think I’m going to read this fall — but we’ll see! Carry On by Rainbow Rowell. This fall is actually made a little easier, since there are some books coming out I’m looking forward to. One is Carry On, the oversized fanfaction that that Cath writes in Rowell’s Fangirl. I have to read this one, because if I don’t, I just failed as a version of my own self. Winter by Marissa Meyer. The last book in the series! I can’t wait! Exclamation points!! Saga volume 5 by Brian Vaughan. Saga is one of the greatest comics I’ve ever read. Period. Done. I only haven’t read it because I’m getting it through the library, and it hasn’t. Come. In. Yet. Blargh. Jingo by Terry Pratchett. I actually got to Feet o f Clay, and now I’m back on my Terry Pratchett / City Watch kick. Next bookstore stop, I’m grabbing this. Step Aside, Pops by Kate Beaton. 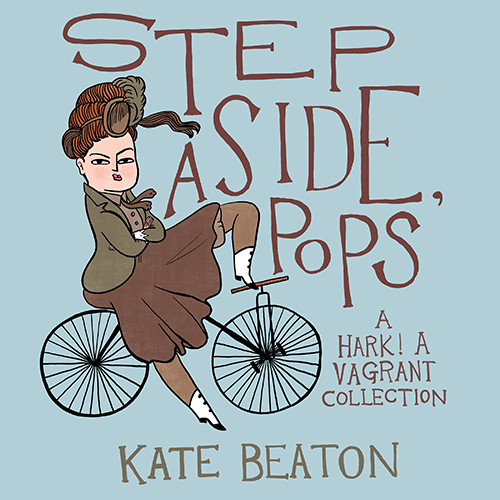 Kate Beaton is hilarious and smart and beautiful. I’m going to buy this one and it will sit so pretty next to Hark! A Vagrant. These are the books I know I’m definitely going to read — I mean it! What’s in your pile? This post is done as part of Top Ten Tuesday on The Broke and the Bookish. Ever since I read Relish a couple years ago I’ve been a Lucy Knisley fan. A comic artist who loves travel and food? Sounds like a great person to me. I recently convinced* the library I work at to get her two newest travelogues, An Age of License and Displacement, and I loved them both, particularly the latter, where she battles with selfishness vs. selflessness as she cares for her aging grandparents on a cruise. 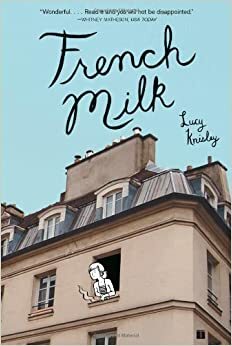 I realized, though, that I’d never read her first book and travelogue, French Milk, where she records a month-long trip to Paris with her mother just before her last semester of college. After some digging around to figure out if I could get it from the library, I had a copy sent to me. You can definitely see a difference in quality between this one and her newest books. There’s more cohesiveness in her current books, a theme or problem she tries to piece together from her experiences. French Milk is a bit more “This happened and I felt this way, then that happened and I felt that way.” Which is fine, I was still engaged, but not as absorbed as when I first read Relish. Then Knisley hits a point on her trip where she has a panic attack: she’s about to graduate from college, she doesn’t know what she’s going to do with her life, and she’s suddenly overwhelmed with anxiety and depression. And I felt for her. The couple of years after I first graduated from my undergrad is still a time I look back on with regret. I was writing, but I didn’t seem to be moving forward with getting published** or even improving, I had no sense of community aside from the few college friends I stayed in touch with and my then-boyfriend, and they all lived a minimum of an hour away. *** I was working with the family business, which I did not want to do, but I could not think of what else I wanted or even COULD do for money otherwise. As far as I was concerned, especially during that time, those years were a wasteland, and I spent so much time being anxious, depressed, and crying because I could not stop hating my life. I realize now, however, that this isn’t exactly abnormal. In your 20s your life takes a huge shift, and I can’t think of many things that really prepared me for it. Maybe getting into college, but that wasn’t something I was ever concerned wouldn’t happen: I got good grades, I was above average for most of the schools I was applying to, I was getting in SOMEWHERE. But getting a good job, having my own life, feeling satisfied with myself — I wasn’t sure about that. I never heard anything like that when I was going through my own crisis, I was never given a sense that feelings like this were normal and it was all right that I was going through this and processing it in this way. Not that words like this would have yanked me out of my funk — it doesn’t do so for Knisley, even though they were obviously important enough for her to give the words their own page — but I think hearing something like that would have made me feel less bad about feeling so bad. If that makes sense. So, conclusion: French Milk is rougher than her other work, but even though I’ve never spent a month in Paris (what a lucky lady, right?) the raw emotions she was feeling at 22 are so close to the state I was in at that age, that I can’t help but love the book, and love her, and feel more connected with the world knowing it’s full of people who react to it like I do. *”I think we should get this.” “Yeah, okay.” Some complex arguments there. ***The exception here is a high school buddy, but she was still in college during those two godawful years, so that was only helpful a few months. Top Ten Tuesday this week is a freebie, and I decided to just keep it simple and list my favorite graphic novels, in no particular order. 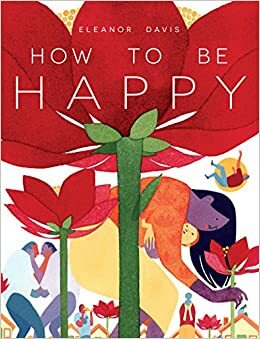 How to be Happy by Eleanor Davis. I just finished reading this collection, and it instantly became one of my favorite things. Consisting of short stories ranging in length from a couple to several pages, they’re emotional, sweet, sad, and sometimes weirdly funny. Hark! A Vagrant! by Kate Beaton. I love Kate Beaton. I think I’ve mentioned that? I her sketchy drawings, her differently but perfectly timed humor, and comics that center on history and literature. Really, she hits a lot of nerd buttons. Persepolis by Marjane Satrapi. I read this for a literature class in college, and I’ve reread it a few times since. This was one of my first encounters with any writer from Iran, which helped develop better understanding and empathy for me. Stitches by David Small. David Small is a children’s picture book illustrator, and those books are charming. This graphic novel, which recounts his childhood and bout of cancer that caused him half his vocal chords, is haunting and hypnotic. Scott Pilgrim by Brian Lee O’Malley. Funny, action packed nerdy, magical realism, so many video game references…I was glad I started collecting it before the final volume came out, just so I could take part in the excitement for its release. 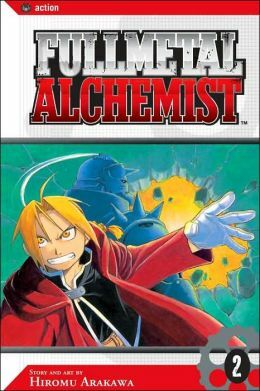 Fullmetal Alchemist by Hiromu Arakawa. Yeah, I’m not going to have a graphic novel list without this on it. This series took so many turns, and was heartbreaking and poignant pretty much all of the way. I became truly hooked early on, with a certain little girl, her dad, and her dog (readers, you know what I mean). On the surface it’s a nasty bit to have pulled me in, but for me it proved just how high the stakes were in this story. Smile by Raina Telgemeier. I cringed and sucked on my teeth when Raina shows us how she fell on her face and knocked out her two front teeth. But if you can get past the descriptions of her long-term dental work, this is a really great story about growing up. I think I cheered out loud when she finally tells off some truly awful friends. 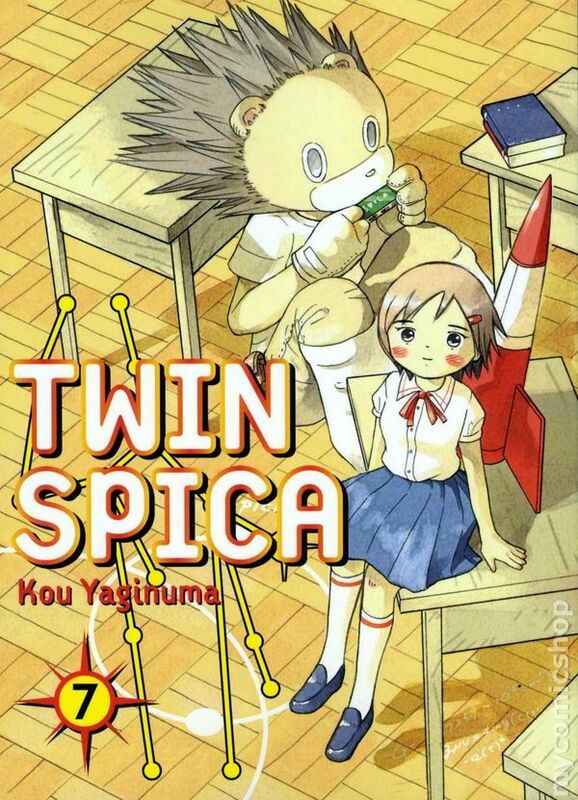 Twin Spica by Kou Yaginuma. Here’s another manga series I love, and need to reread. Slightly science fiction, a little bit fantasy, it’s a story I felt slightly sad, slightly happy every time I went to it. Once I opened up a package with a new volume, and started reading on the floor — took me 20 minutes to remember to go sit in a chair. Fun Home by Alison Bechdel. Another graphic memoir. What can I say, when they’re done right, I love these. Here, we get the story of her dad, a closeted gay man. Those are some of my favorites! There are others I could have mentioned, and some I may have forgotten altogether, but these are books that have meant a lot to me, at least since I reached adulthood. What are your favorite graphic novels? Picking Out Comics – What the Heck Do Other People Like? At the library where I currently work, I’m the only person who regularly reads graphic novels. I’ve never hidden that fact — I love comics too much to be very good at keeping that buried — and at one point one of the librarians told me that if I had any purchasing suggestions, I could send them her way. So I have done. The teens, they love this guy. Most of my suggestions are followed, which is really weird to me. Because, I’m realizing, while I know what I like, I’m not too sure what the comic-reading patrons of this patrons of this particular library want to look at. Obviously Naruto goes out, and people keep picking up the Adventure Time graphic novel, but they don’t touch the shoujo and I think I’m the only one who cared about the one Tezuka manga we got. Basically, a lot of the stuff that I love, that I think belongs in a library, doesn’t always seem to catch the eyes of the who actually go to a library for comics. Maybe we aren’t getting the right people in. Maybe there aren’t enough comic readers in this town. But I’m trying to pay attention to what other patrons seem to actually like (more Naruto) and limit my suggestions to things they might actually check out — not just what I want to see. 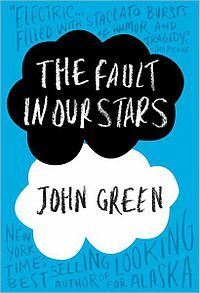 First and foremost is John Green, all of whose books I’ve now read, most notably of which is The Fault in Our Stars. I didn’t fall in love with all of this books, but TFiOS is now and forever more one of the best pieces of writing I’ve ever come across. I can’t stop recommending it to (or buying it for) people, and I only wish I had figured out how great it was when it first came out so I could have jumped on the bandwagon sooner. As a direct result of that, too, I’ve become a fan of his brother Hank and their YouTube pages, which help me while away all sorts of time I should be spending writing. Speaking of books I missed the first ship on: The Book Thief by Markus Zusak. I mean, Jesus. The Fault in Our Stars is one of the most well-written books I’ve ever read, but man I think this is THE best book I’ve ever come across. Then there’s Rainbow Rowell. Eleanor and Park simultaneously broke and swelled my heart about as much as TFiOS, and Fangirl gave that wonderful, well, fangirl flutter in my gut that I don’t feel as often as I once did. I still haven’t read her adult book, but it’s certainly on my list. Also of note: this year, Sara Farizan, another Lesley graduate, published her first book, If You Could Be Mine, a wonderful love story. It makes me so proud to have been in the same program as her. Not in the YA grouping: David Sedaris. How have I not read this man before? His nonfiction essays reveal a life that in most ways is very different from mine, but he still manages to write things that click and mesh with the way I see the world, that echo thoughts I’ve never said out loud because who else would possibly think that way? I’ve read almost everything he’s written, which is really depressing in its own way, since I could read his books forever. 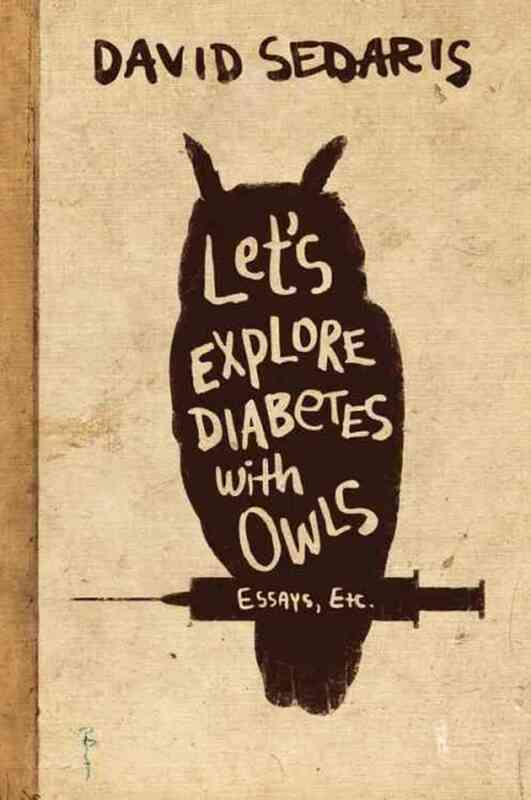 But luckily Sedaris is one of those magical readers that stand up to rereadings (or re-listenings, since I switch between his audio books and print books) so I can just go back to him again and again and again. 2013 was also a year where I started getting into different forms of reading. audiobooks became my go-to way to pass the time doing chores or driving, though I do find myself being very picky with what I listen to: it has to be something I can spend only about 80% of my brain on, and I can’t make myself listen to anything that equals more than 10 or so CDs. I’ve also discovered a new love of short stories, with Aimee Bender and George Saunders, and also J.D. Salinger and another new favorite book, Franny and Zooey. Always there are new comics. This year I found a new favorite webcomic, Boumeries, which I’ve talked about before. 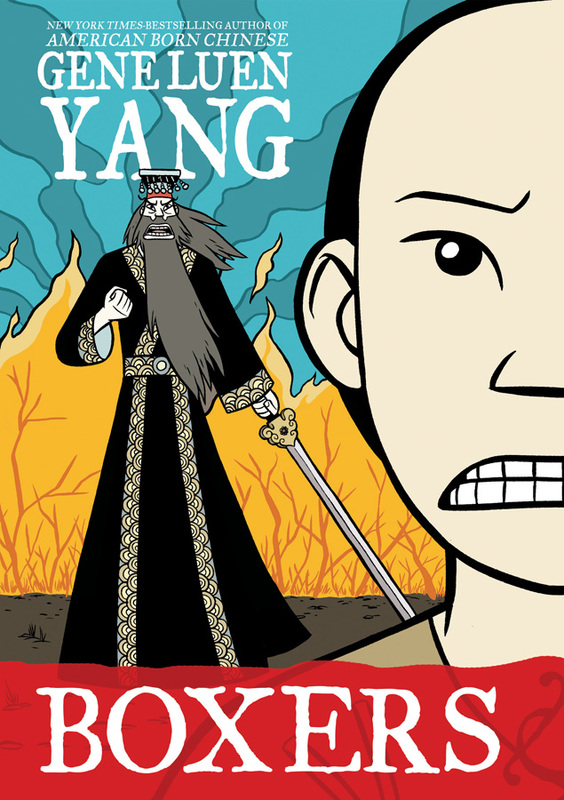 I’ve also loved Gene Luen Yang’s new duet (duology? twosome? ), Boxers & Saints about the Boxer Rebellion in China. Other good ones were Message to Adolf by Osamu Tezuka, Same Difference by Derek Kirk Kim, and Marbles, a memoir on bipolar disorder, by Ellen Forney. Really, I could go on and on about the books I loved this year. There are plenty I didn’t name. But those are some of the things that stuck out for me. How about you? I didn’t want to write this until my article was actually posted, since I’m paranoid about jinxing myself, but now I feel safe doing it. A couple months ago I signed up to write for the relaunched, on the web Creative Screenwriting, and a couple weeks ago my first article was published online, my interview with artist Faith Erin Hicks. I don’t know if you’ve noticed, but I really like Faith Erin Hicks, so even though this interview took place over email, I was really excited to have a chance to ask her questions and write about her. I have another one that I’m currently writing, and I may have another interview lined up. I’ve only just started, and as with anything I’m stressing myself out, but I’m really excited. I also realize I haven’t been mentioning what I’ve been posting on The Fandom Post recently. Mostly, it’s been reviews for episodes of anime, Mushibugyo and Silver Spoon, but there’s also the newest Avatar: The Last Airbender comic. I won’t link to everything I’ve posted, but click the link and look at my backlog if you’re interested.